Little hearts deserve the best care. 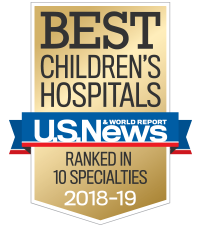 That’s why the specialized pediatric cardiology and hematology teams at Children’s Healthcare of Atlanta are dedicated to providing your child with inpatient and outpatient care for heart and blood disorders, including heart abnormalities, bleeding and clotting diseases and pediatric genetic heart disease. We offer assessments, long-term treatment and follow-up care for children with diseases of the aorta and blood vessels. Our arrhythmia specialists provide expert inpatient and outpatient care for children with heart rate or rhythm abnormalities. We offer a full range of care for children with blood disorders, including bleeding and clotting diseases, sickle cell disease and more. Our highly trained cardiothoracic surgery team has the expertise to perform a full range of surgeries to treat children’s heart conditions. We’re one of the largest programs in the country to provide specialized care for children born with heart disease. Our fetal heart care specialists offer ongoing consultations to protect the health of unborn children with suspected heart defects. We offer comprehensive services for children with bleeding and clotting disorders, including treatment, education and clinical trials. Our heart care experts provide diagnosis and ongoing care for children with HCM, a genetic disease that affects the heart's ability to pump blood. Our specialized cancer care team offers a full range of services for children with leukemia, a disease that affects white blood cells. Our program offers diagnosis, long-term treatment and follow-up care for pulmonary hypertension, a disease that affects the arteries in the lungs. As one of the top heart programs in the country, we provide the most comprehensive children’s heart care services in the Southeast.